For many, working out to lose weight can seem difficult to achieve. This can be especially true for those who are older and have a previous history of injuries. Even conditions such as arthritis and asthma can make it difficult for those who want a challenging workout but don’t want to overexert themselves. 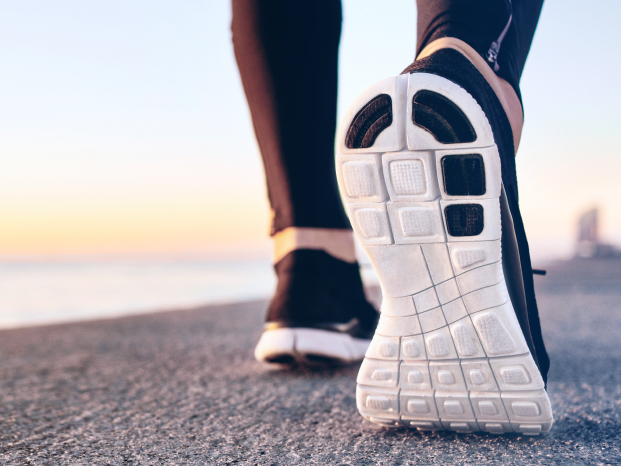 Fortunately, even simple exercises like walking can make a huge change for those struggling to lose weight and stay on the right track to reach their weight loss goals. 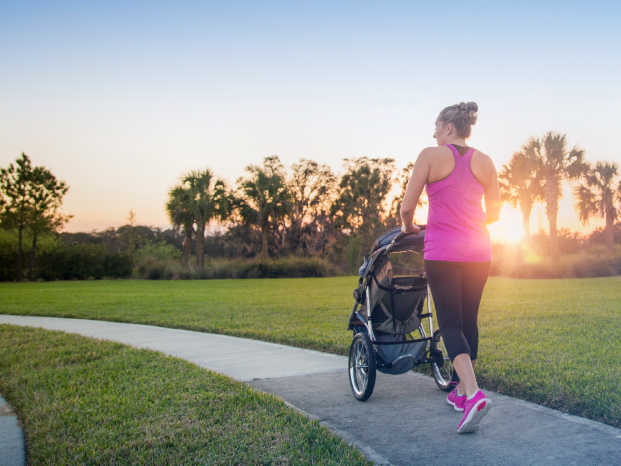 These 6 walking for weight loss tips are for those who would like to lose the pounds by taking part in a low impact exercise. Getting up and out of the house to exercise can leave some feeling overwhelmed and distressed. But walking can have a huge impact even for those who live mostly sedentary lives. But where do you begin? If you want to know that, you are ready to make a change. Before you hit the walking trail you need to make sure you have all the right gear. You may be thinking, “Don’t I just need to put my shoes on and go?” The answer is both yes and no. In order to avoid injury to the joints and muscles, making sure you have the correct pair of walking shoes is crucial. Wearing the wrong type of shoe when working out could cause more pain than the exercise itself. The best way to go about finding your perfect walking shoe is by first visiting your nearest sports gear store or speaking to a licensed orthopedic foot and ankle doctor. Once you have recommendations for a walking shoe that could fit you best, try it on with a sock you would normally wear, and take note of its comfort level. Your shoes should be laced up with medium pressure, nothing too harsh. Your feet need to be able to breathe. There should be enough room within each shoe to wiggle your toes comfortably. Walk a bit around the store to make sure nothing feels out of the ordinary. Make sure your shoes stay on against your heels as you walk. Any slippage is a sign of an ill-fitting shoe. A good pair of walking shoes should carry a few key attributes. For starters, your walking shoes should be fairly lightweight and comfortable to wear. There should be just enough padding combined with the right amount of shock absorption to make each step as pleasant as possible. Shoes made for walking will sometimes have a rounded toe or rocker bottom to help the weight of your body shift easier from front to back. Each step should start heel first and roll forward onto your toes. Try your best not to bend too far forward and keep a straight back. By keeping an upright position you can help engage your core and strengthen the back area. Keep the tension in your back and arms to a minimum and relax your hands as you walk. Now that you have your walking technique down, create a plan for yourself to encourage long term weight loss benefits. This can include establishing a schedule, creating an eating plan, bringing in a workout buddy, and so much more! For those who almost never workout, set up 2 exercise days within the first week of your new workout plan. Reach for a half hour of walking nonstop. Attempt on your second week to walk the same two days, but this time go for a 40 minute walk each. On your third week, map out 3 days of walking for 30 minutes each. Continue on your fourth week with 3 days of walking for 40 minutes each. By making a workout plan that is built on increments, you are more likely to succeed. Bonus Tip: Walking on an incline burns more calories. If you are exercising on a treadmill, try increasing your incline level. If you are exercising outside, try walking uphill on new terrain. Commit yourself to walking for weight loss 3 to 5 times a week for 30 to 60 minutes per session. Once you find your flow it will be easier to get up and get moving. It is completely normal to have an off day. Do what you can—whether that means speaking to a friend or spouse for support or with self-motivation methods—to stay on track and complete each week to your fullest capability. 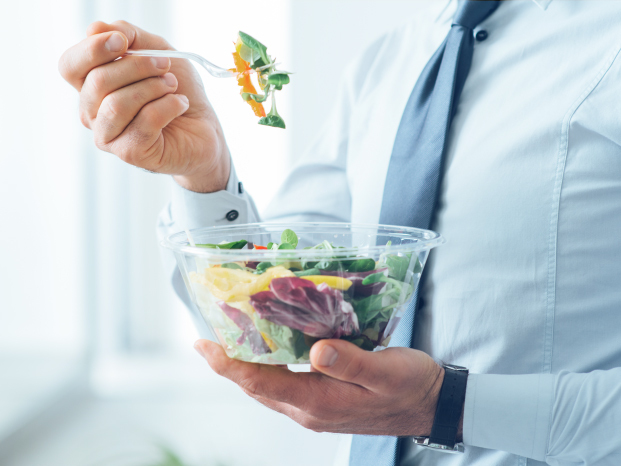 Eat a balanced diet — What you eat will greatly affect how much weight and body fat you lose over time. This can also help you increase your metabolic rate. Drink water — It is incredibly important to hydrate so that your body has the water it needs to recover, regenerate cells, and stay generally healthy. Cut back — For those who drink and smoke, now is the time to cut back. Drinking in moderation will cut back on your sugar intake significantly. Cutting back on or quitting smoking altogether will improve your body in numerous ways including diminish nicotine addiction, decrease risk of heart disease, lower cholesterol, and so much more. 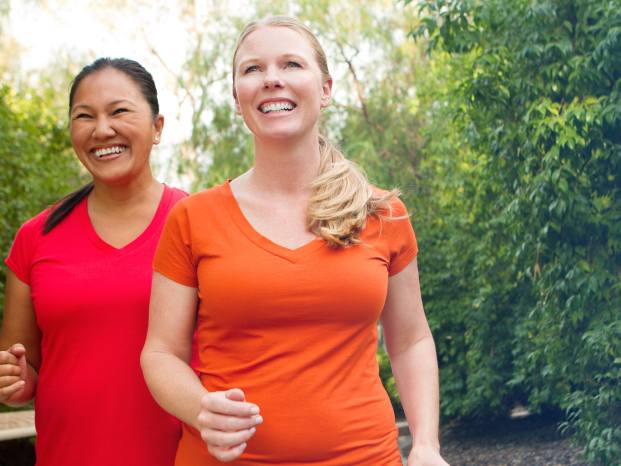 We hope these walking for weight loss tips encourage you to get started with your weight loss journey so you can improve your overall health for good.